A little while ago … well about 70 years ago to be precise during WW2, a young gentleman in the American Navy came to London and made acquaintances with my grandparents. It was around the time when my mum was born and his wife was also expecting. Somehow (I am sure either my mum or Barbara are going to add some information here …) my mum and his daughter (Barbara) started to be pen pals and the letters flowed between New Jersey and London. Never having met, when we shipped our Motorhome to New York in 1987 (you can do the maths), they met for the first time and since then we have all stayed in contact on and off with me making frequent trips for work to NY and my parents visiting New Jersey and Barbara on work trips to London, but as we all travelled less with work I hadn’t seen them for a good few years and my parents even less. 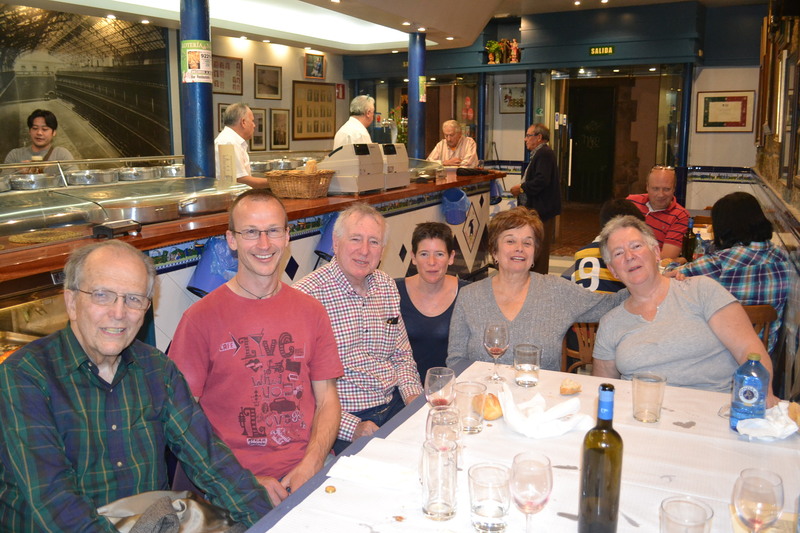 When we started the blog I emailed Barbara and Vic to let them know of our travels and received an almost instantaneous response to tell us of a trip to Spain, starting in Bilbao on the 15th October …… so here we all are, fate making us meet in Bilbao for a couple of days of culture and good food and the obligatory few glasses of red wine! We travelled from San Sebastian to Bilbao via the coastal route, which to say was a little windy would be an understatement, but the views were stunning. If you are planning to travel to this part of the world and aren’t in a hurry – we definitely recommend it. Bilbao has grown over the last twenty or so years into a beautiful city. 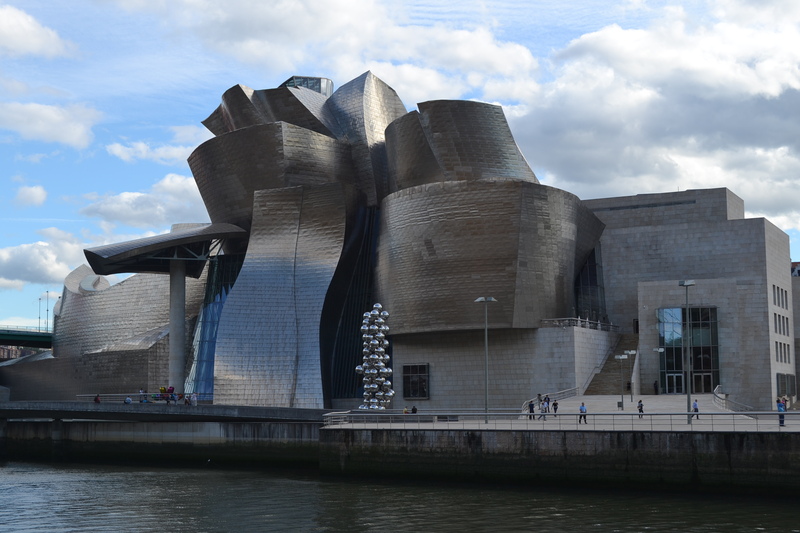 Despite Northern Spain (and Bilbao specifically) having had a bad reputation due to ETA they have invested a huge amount of money in developing Bilbao and making it an attractive place for people to visit. Pays Vasco is still hugely independent and like Catalunya (and Scotland) it would like to be governed separately from Spain, but the violence and bombings has all but disappeared. It is definitely more common to hear their language (Euskera) (it is a language, not a dialect) which is taught in schools, than it is to hear Castillian (or Spanish as we know it), but they do all speak Castillian as well. There is no doubt that the Guggenheim has had something to do with the increase of popularity of the area, but I think it was probably the beginning of the snowball. This is the third time we have been here and even in the last 7 years it has changed dramatically. There are still bars that look like they are run by ETA with pictures on the wall of their fallen warriors, but they appear to be few and far between … or they are now in back rooms so the general public can’t see them. The city is has a beautiful – although still a bit rough around the edges – old town and a nicely refined new town – a really nice place to stay for a long weekend/few days. 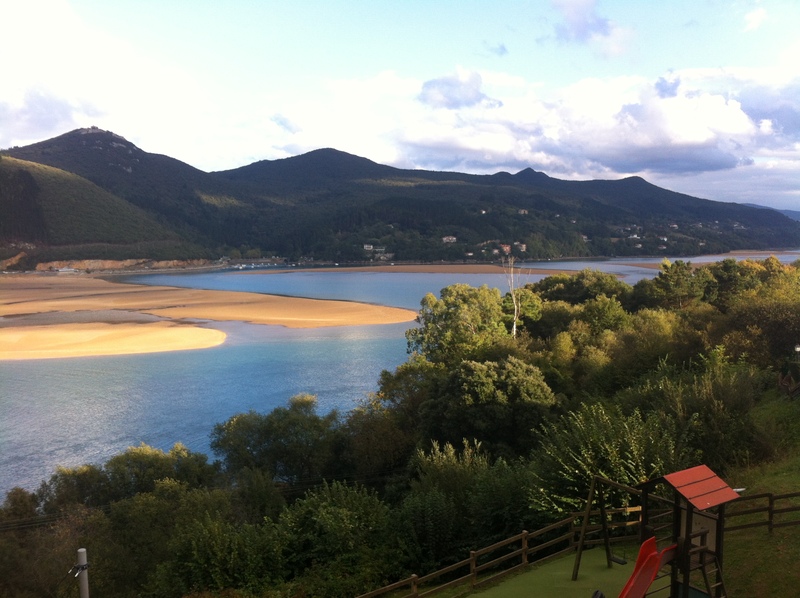 The campsite we are staying at (Camping Portuondo) is about 30kms outside Bilbao in a small coastal town called Mundaka as the ‘Aire’ looking over the city is unfortunately closed. It is a ‘Premier Class’ campsite and the views are spectacular and it has a very expensive restaurant on site ….. not what us campers are used to at all.